Welcome home to magnificent Lake Grandin! 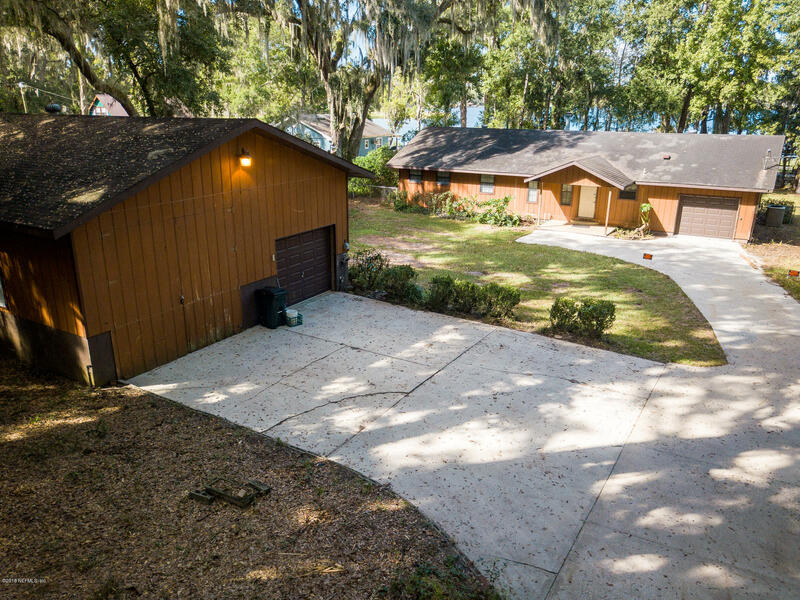 Lovely home nestled on a 2.3 acre lot with sprawling live oaks with hanging Spanish moss, beautiful azaleas and fruit trees, on the area's finest all-purpose lake. Boat dock included. The home features an open floor plan with spacious rooms, a walk-in closet in the master bedroom, and fresh new carpet throughout. A wood burning stove in the living room will keep you cozy this winter and you'll enjoy the lakeside covered porch off the living room this fall. The kitchen features an island, stainless steel appliances and lots of beautiful cabinetry.